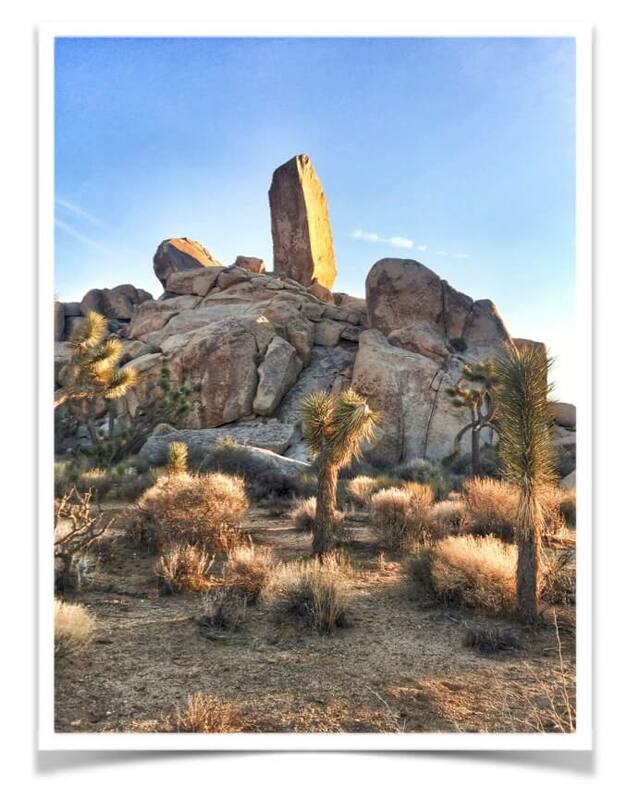 With many trips under my belt by now, I can confidently say that I LOVE camping – and Joshua Tree National Park is one of my all-time favorite camp spots. When I say camping I mean the real deal – pitching a tent, cooking over a camp fire, and being ok with getting dirty. Glamping is fun too, but I prefer being able to get a little further from the built or manufactured environment. Sleeping on (or almost on) the ground, building a campfire, seeing a million stars in the sky and simplifying everything makes me feel a connection to nature that’s hard to come by in my day-to-day city life. Also, being forced to unplug from technology is a much needed break for the entire family. 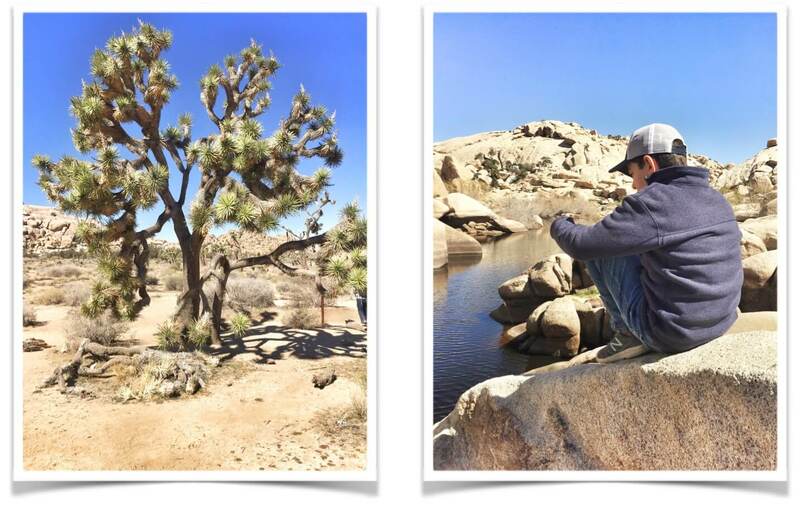 So, when my kids had a day off school last Monday, we snuck away to Joshua Tree – if you haven’t been, even one night in this magical place will blow you away. The otherwordly terrain is made up of dramatic boulders and buttresses, quirky spiked trees and twisted cacti, rugged mountains, and gold mining ruins from the early 1900s. Rock climbing is an obvious draw, but there’s lots to appreciate even for the non-boulder scaler like myself. SLEEPING BAG LINER – it can get super chilly so make sure you bring a fleece liner like this one for extra warmth in your sleeping bag. Click here for more information on sleeping bag liners and a list of the 10 best liners for 2018. DATE SHAKE – like I said before, stopping for one of these is mandatory. Wanna make it at home? Try this or this. DAY PACK – exploring the park’s many trails and hikes is a great way to get some exercise and enjoy the incredible scenery. Make sure to bring a day pack like this or this. DENIM – Joshua Tree has some rough terrain and you’re gonna get dirty so bring clothing to protect you from the elements. I love this denim shirt by Civilianairre. BANDANA – it’s a desert with lots of dust and a bandana will help with filtering. Also use it to protect from the hot sun. FLANNELS – no explanation needed here. I love these vintage flannels found on Etsy. Don’t want something vintage? Try this or this, both look warm, comfortable and cute. HAT – you’ll need a warm hat when the desert wind picks up and the temperature drops at night. This one is functional and looks good too. WATER BOTTLES – make sure to bring lots of water and drink it. These durable Yeti Bottles are great for keeping your water super cold. 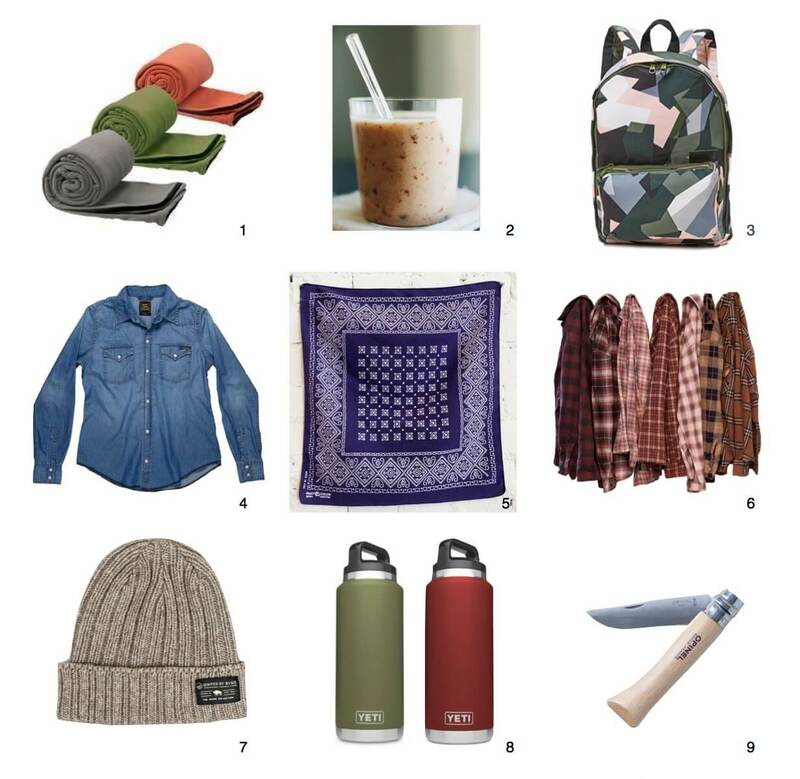 Hydroflask wide mouth bottles and Klean Kanteen are favorites as well. TRAVEL KNIFE – here’s two camping must-have tools in one—a cheese cutter and a wine bottle opener.